chubby baby | Rebecca Lynne Photography : Northern Iowa and Southern Minnesota's Best Photographer! Little Gabriel is back again, for his six month session on my baby plan. The baby plan features three sessions the first year. One newborn session (ideally within 10 days of birth), a sitting up session (around 6-8 months of age) and a birthday session. 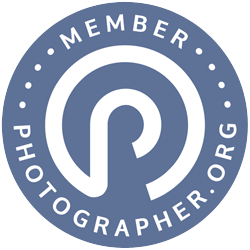 These three sessions give new parents a wonderful variety of images to document their child’s first year in portraits. I have been recommending just three sessions for the baby plan for several years now because the older method of 3, 6, 9, 12 months just got to be too much for most parents… (especially when newborn photography gained popularity). Some people were trying to fit 5 sessions into a year… which just gets to be too much work for the parents… every time they turned around, they were needing to find outfits, set up appointments, decide on their order, pick it up… YIKES! It was too much of a good thing… they didn’t even have time to enjoy the order they received before they were planning for the next session. The three session plan is perfect! At first it might not seem like enough because you are so enraptured with your newborn and it seems like they change sooo fast… (I’ve almost been tempted to add one more session in there.) But I love the dramatic difference in the portraits… little sleepy baby, cute chubby sitting, (maybe crawling?) baby, and standing, (possibly walking) baby. The parents are able to enjoy each order for a few months before they even need to think about scheduling the next appointment. They are also able to invest more in each session because their budget isn’t being spread so thin… so they’re able to create wall groupings, collages, or even get that big canvas gallery wrap they’ve been eyeing! But let’s get back to sweet little Gabriel, shall we??? His parents had lots of outfits for him to wear, and we started off with a little boy classic… a simple polo and shorts. No shoes or socks here! We want to show off those cute little toes! I had to work for the first few smiles we squeezed out of him… Apparently, Gabe is a big daddy’s boy and he ONLY bursts out the big grins for him. After Daddy arrived, it was much easier! I was laughing so hard at the silly sounds his dad was making that it was hard to hold the camera steady! I can’t tell you how much fun it is to see a parent get so involved in the photo session. Some photographers are kind of snobs about letting the parents be involved. I’m all for parent involvement. I don’t mind if the parents just want to go in the gallery area and take it easy, but if they want to stay in back and get on their knees with me. After the first outfit, we did some sweet bare baby portraits with a little elephant shaped piano his parents brought for him to play with. His daddy is a great pianist/organist and so it was very significant. I love adding special touches into your portraits that make them even more personal and tell a little part of the story of your life. Little Gabe loved banging on his piano, and some of the images captured even make it look like he already knows how to play it. Other outfits included showcasing their love for their favorite sports teams, the Twins and the Vikings. Lucky little Gabe has already been to Target field for a game! Well, I best get back to work. I’ve ordered some postcards to advertise for senior portraits this summer and I’d best get my labels ready! P.S. If you want to see Gabe’s newborn session, click here.